Are online reviews REALLY that important for hotels? The answer is a definite yes! With 95% of travellers trusting online reviews when making a purchase, it has never been more important to keep abreast of your online reputation. According to a TrustYou study, a traveller is four times more likely to choose a higher rated hotel over its equally priced counterpart. Furthermore, a single point increase in reputation score gives a hotel the latitude to raise its room rates up to 11.2%. With 160 new reviews being published on TripAdvisor every minute, it is no surprise hoteliers are keen to improve rankings. One of the main ways to do so is encourage guests to leave new reviews - the older the review the less weight it carries. Make sure you have new reviews coming in all of the time to keep your score up. Send guests post-stay emails encouraging them to review their stay. The second most important factor we believe is responding to reviews – good and bad! 87% of potential customers believe that an appropriate response to a bad review IMPROVES their impression of the hotel. In an ever changing industry it is safe to say, reviews are here for keeps. 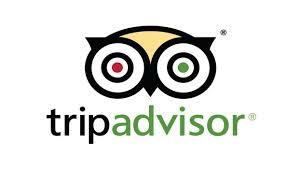 Over half of the negative reviews left on TripAdvisor were as a result of poor service – which can be easily improved by training staff to deal with queries differently, delivering a positive and memorable guest experience and ensuring staff understand the importance of exceptional customer service. With higher review ratings come higher rates and increased bookings – Guestline are holding a free to attend networking event with TripAdvisor focusing on the importance of online reviews and the impact they have on your business. Alternatively, as always we would be pleased to arrange a personal consultation on how Guestline’s services can drive more direct bookings and increase revenue within your hotel. Please click here to arrange. Due to that the dishwashing maker http://www.angelfire.lycos.com/ is so silent simply decibels, Bosch good dishwasher for the money established along with added an awesome what is the best dishwasher website traffic signal that beams into The Best Selling Dishwashers In UK To Buy the flooring to let you understand a cycle read more is in growth. It is a great article with a good knowledge. Thank you for sharing this article with us. Visit official site to get showbox for your smartphone.